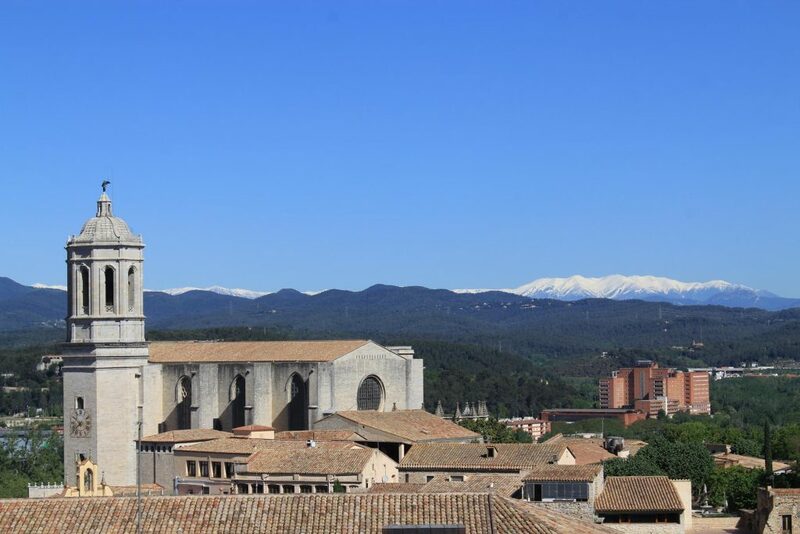 The Cathedral of Girona is just outside the city center and determines the cityscape more than clearly, as the church overshadows the remaining buildings. In the city center you will find a historic old town with cobbled streets and a seemingly endless selection of cafes, restaurants, bars and shops. The aforementioned climbing of the city wall is in my opinion the best thing to do and my recommendation for a visit. Also many historic buildings are open to tourists and can be entered for a small fee. However, taking pictures is not always allowed. To switch off a bit, we spent an hour in the La Devesa Park. This is a great place to enjoy your lunch, relax, or just take a deep breath. Pictures can be found in the galleries. Every year in May, by the way, the “Temps de Flors Festival” takes place in Girona. Here, the city center turns into a sea of ​​flowers, which forms a route through the city. During this festival, countless culturally significant buildings are opened to the public, although they are otherwise closed for the rest of the year. We spent only one day exploring the city. If you really want to see everything, you should calculate about a weekend. We were not very much interested in the museums and left them out. About an hour’s drive from Girona is the coast to the Mediterranean Sea. Here is the Costa Brava, one of the most beautiful bathing regions of Spain. Unfortunately we visited during spring and the weather was definitely too cold to swim in the sea. Girona is in my opinion the best city for a short trip to Spain. If you take a weekend, you can enjoy all the attractions and the Catalan hospitality. You get tapas to eat everywhere, the air is fresh and clear and the people are very friendly and accommodating. Next to Girona we visited Valencia, Vinaros and Peniscola as well as Barcelona. More about these cities in the other blog posts.